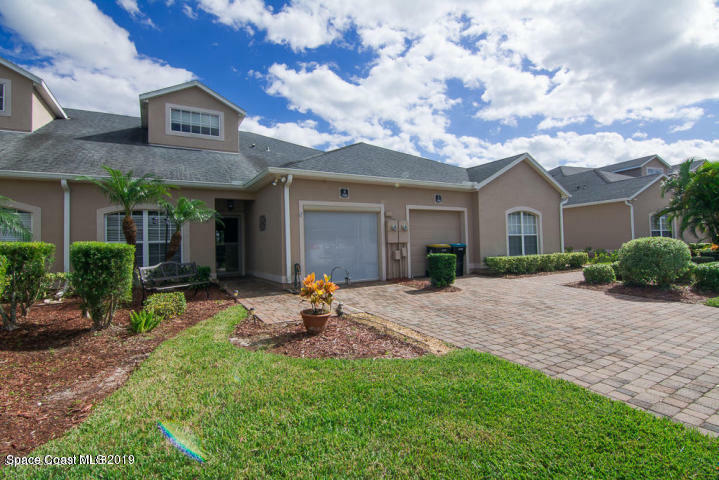 Well maintained 2 bedroom, 2 bath townhouse with 1 car garage in Fairway Crossing. Open Kitchen with plenty of cabinet space and breakfast bar. Bonus room that is perfect for an office, computer room or dining room. Master suite includes wood flooring and master bath with double sinks and walk-in closet. Relaxing screened patio overlooking the 13th hole of golf course. Also includes an electric garage screen.